Buy from our Transcend NZ Store. Shop online for the best NZ prices & reviews on Transcend Memory Cards Including SD, SDHC & Micro SD. USB Drives, Portable Hard Drives, SSD Drives, Computer & Notebook Memory Ram & more. Transcend Storejet 25MC 2.5Inch USB 3.1 Type-C Extra-Rugged 1TB External Hard Drive + FREE Hard Drive Pouch! Transcend StoreJet 25H3 1TB 2.5 Inch USB 3.0 Extra Rugged External Hard Drive + FREE Hard Drive Pouch! Transcend StoreJet 25H3 2.5 inch USB 3.0 Extra-Rugged 1TB External Hard Drive - Blue + FREE Hard Drive Pouch! 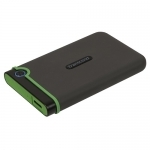 Transcend StoreJet 2.5 Inch 2TB USB 3.0 Anti-Shock External Hard Disk Drive + FREE Hard Drive Pouch! Transcend StoreJet 25H3 2TB 2.5 Inch USB 3.0 Extra Rugged External Hard Drive + FREE Hard Drive Pouch! Transcend StoreJet 25H3 2.5 inch USB 3.0 Extra-Rugged 2TB External Hard Drive - Blue + FREE Hard Drive Pouch! Transcend StoreJet 25H3 4TB 2.5 Inch USB 3.0 Extra Rugged External Hard Drive + FREE Hard Drive Pouch!